Disclosure: I received the following for review from SpinMaster. All opinions are my own. SpinMaster Toys offers some pretty neat products for your kids. 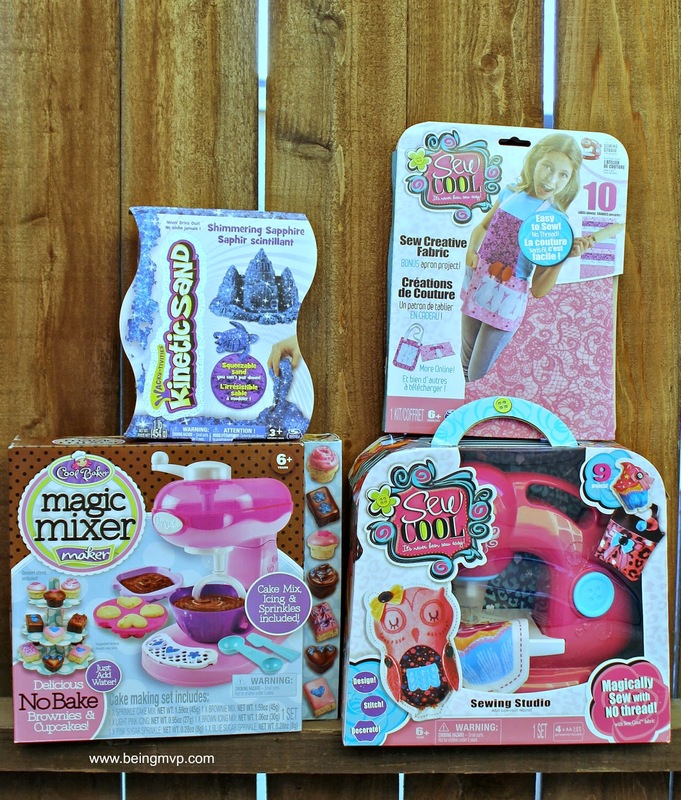 We received the Sew Cool Sewing Studio, Cool Baker Magic Mixer and Kinetic Sand for review. Check out how much fun we had with these plus enter the giveaway below! I will admit that although I dream of whipping up all the cuteness I see on Etsy and Instagram, I don't have the sewing gene in me. 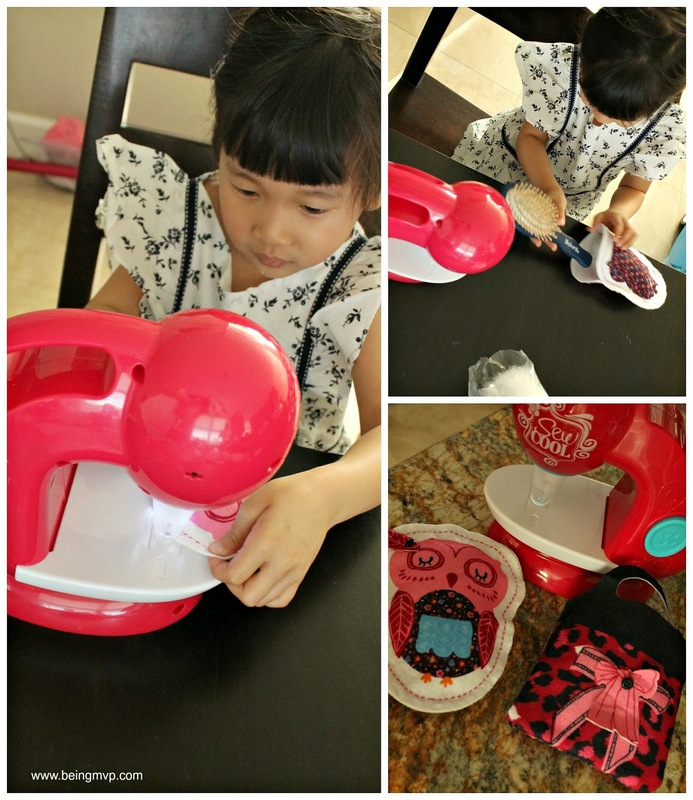 However, SpinMaster has the cutest little sewing machine for Kenzie to get creative with at an early age: Sew Cool Sewing Studio. She was so excited to see this machine that is just her size and couldn't wait to get started on her first project. After popping in 4 AA batteries (not included), it was ready to use. Kenzie selected the owl and cupcake characters first. I showed her how to move the fabric along under the machine and to push the button to make it start/stop. She got the hang of it pretty quickly and was very proud of herself. You don't have to worry about poked fingers with this sewing machine for kids because it is of the construction and housing of the needle. No thread, no foot pedal, no bobbins to wind, no needles to thread. "Easy peasy, lemon squeazy" as Kenzie says. I love all the simple patterns that Kenzie can make and as she gets older, she can branch off with her own creations! 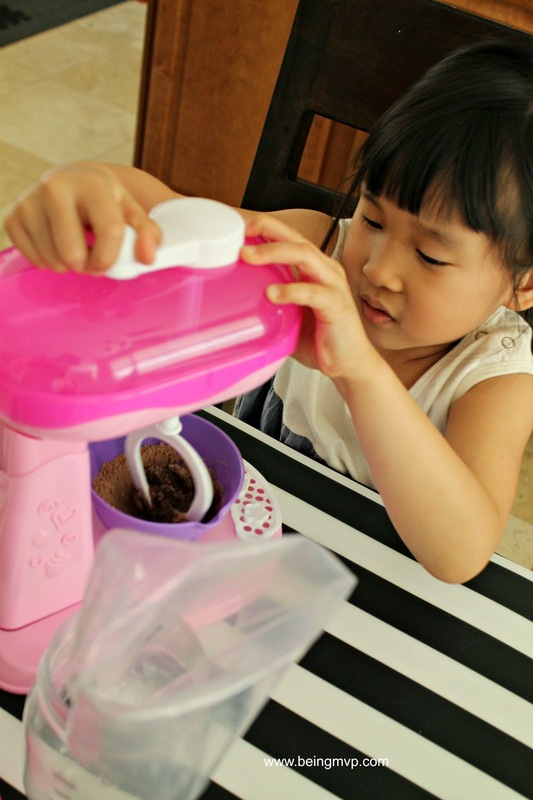 The Cool Baker Magic Mixer Maker is another fantastic product for young children. It looks just like my stand mixer but made of plastic. The kids mixer was fairly easy to assemble and once the parts were washed and dried, it was time to "bake". Kenzie was able to make a brownie and mini cakes using the mixes provided. Just add water (in increments suggested in the pamphlet for mix and icing) and stir using the hand crank. After about 15 minutes in the fridge, your tasty treat is ready to consume. Kenzie and Mason both really enjoyed these treats especially after dousing them with sprinkles! 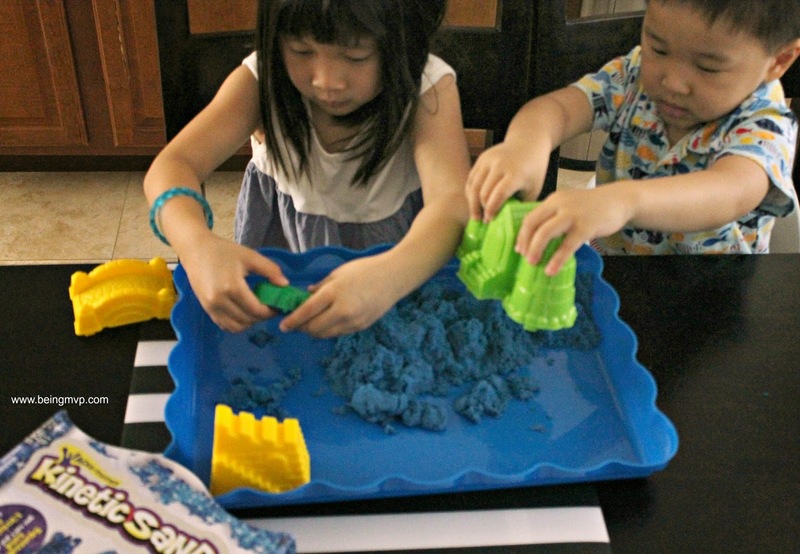 Shimmering Blue Sapphire Kinetic Sand is a great starter (or addition) to your child's toys. We first saw this at a toy store in the mall a while back and while the kids have a large set, they were intrigued by the shimmer and couldn't wait to dig in. They had a blast building castles and creatures. 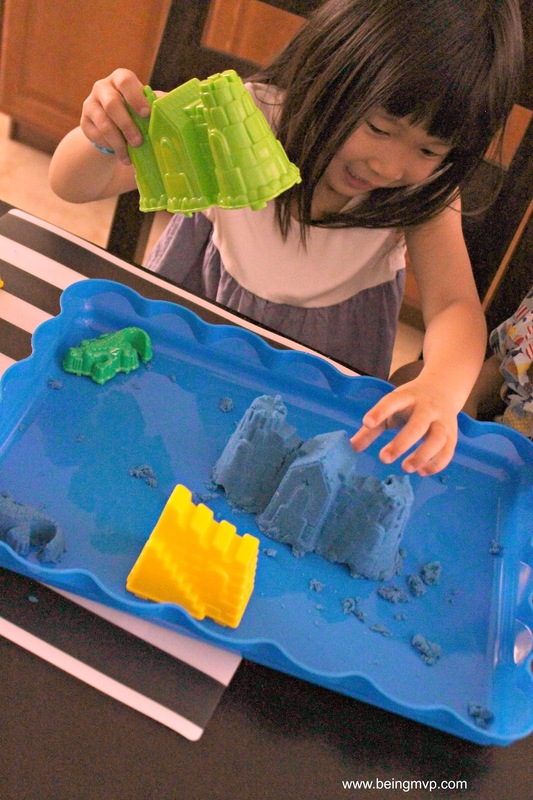 What's neat about this "sand" is that you can mold it, shape it, squeeze it, etc. The Shimmering Sapphire sand is 98% sand, 2% Polymers and 100% fun! It's also wheat, gluten and casein free! One winner will Receive a $250 SpinMaster Bundle! I think the Flutterbye doll looks fun. My granddaughters would love this toy. We think the cool baker would be great to have. 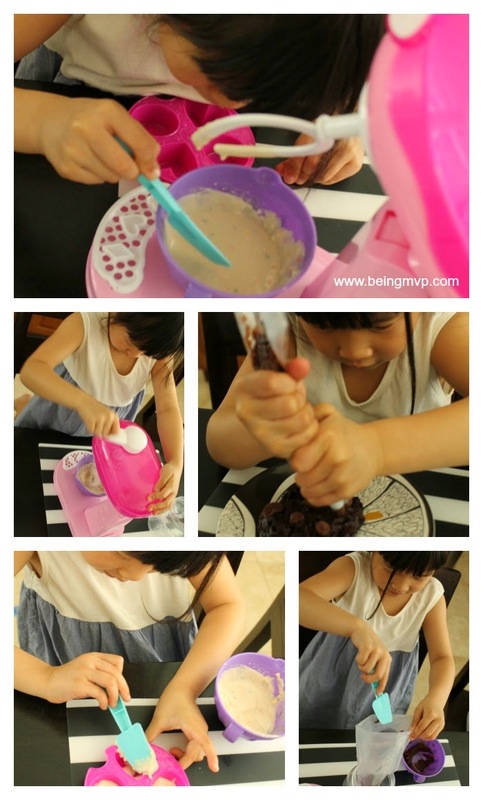 We would love to try the Cool Baker! It looks so fun and yummy. Thanks! We would love to play the Who's Behind the Door Monster's University Edition game! The Cool Baker Cake Pop Maker looks awesome! I want anything paw patrol because my son LOVES that show !! ! !! Our family would also love the DigiBirds! My family would love the Disney Beat the Parents game! Zoey Boey Fru Fru Large Doll. Thanks. Hyper Happy Mall. I would give to my granddaughter.